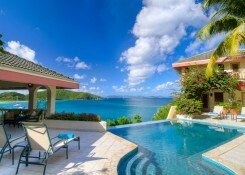 This is idyllic SAVANNAH BAY BEACH, Virgin Gorda, located just a 2-minute paddle by kayak from A Dream Come True Villa. Often you’ll be the only ones on this beach! 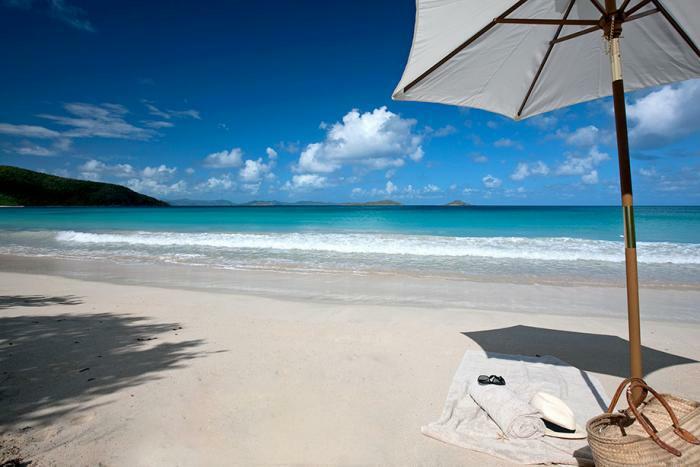 You’ll find free parking at all beaches on Virgin Gorda. All beaches are open to the public, even those at resorts. Dress appropriately at resorts so you’ll fit in with their clientele. When in Spanish Town, be sure to cover your bathing suits adequately with tops and skirts/shorts or mini-dresses and shirts and shorts. The local residents are conservative and do not appreciate seeing visitors in bathing suits walking along the streets or in shops and restaurants. Here’s what you may want to bring, depending on the size of your group and length of stay at the beach. Snorkeling gear because virtually all beaches have a section worth snorkeling. A SPF-UV long-sleeved swim shirt so you don’t have to use sun block on your chest, back, and arms. These are a great invention! The sun is stronger here than where most visitors live. A bottle of water for each person in your group so you don’t get dehydrated. Sunglasses – We are closer to the Equator here so protect your eyes with UVA/UVB sunglasses – even for the kiddos. Sun block – SPF of 30 minimum re-applied after swimming. Bug spray is important if it has rained. A wide-brimmed sun hat or bucket hat will keep you cool and in the shade when reading (if no palm trees or sea grape trees are available). Baseball-caps are second best. You’ll want one for hiking Gorda Peak National Park as well. A sand chair if your villa supplies them. Snacks because no beaches on Virgin Gorda sell food except down at “The Baths.” Be sure to remove all wrappers when you leave. 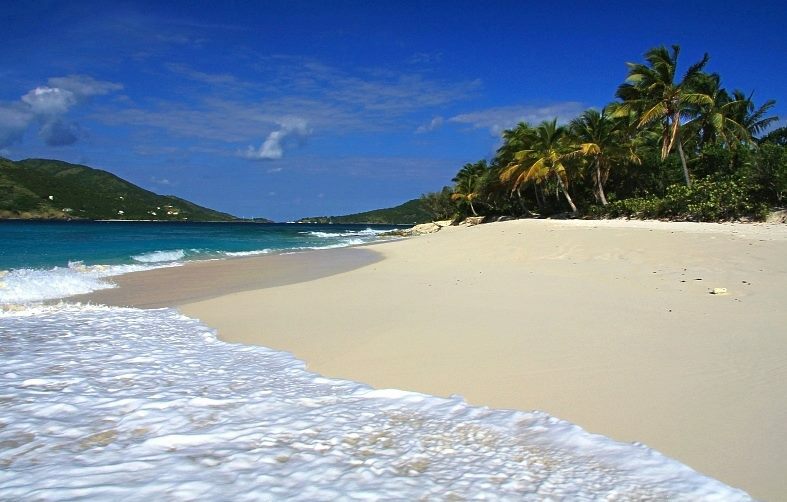 You’ll be delighted by the lack of trash everywhere on Virgin Gorda! A beach umbrella if your villa provides one and you absolutely need shade. Coconut palms, gentle surf, sunny day, warm breeze, no crowds…lucky you! Your camera or iPhone to take amazing photos of the turquoise waters, lovely beaches, and boulders if at the southern beaches. 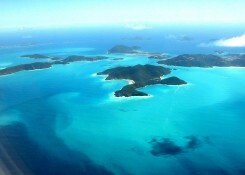 If you do not take photos, buy post cards because you simply cannot remember how beautiful Virgin Gorda is without photos! 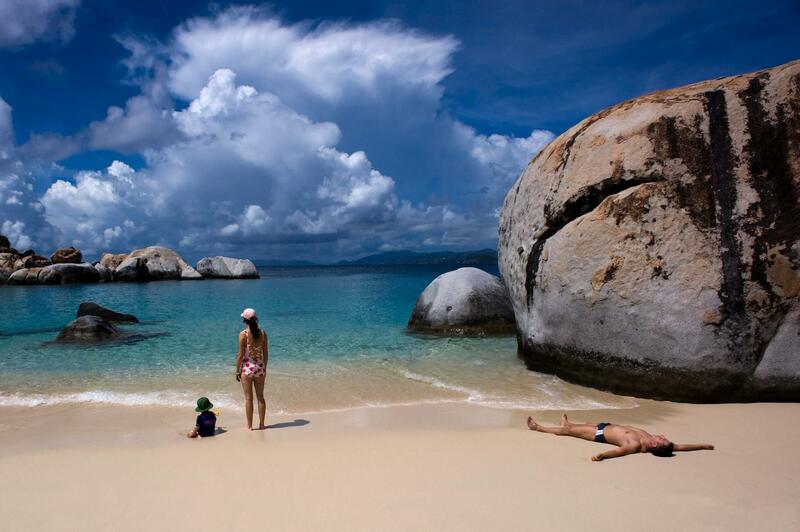 These gorgeous Virgin Gorda beaches are appealing for children of all ages – and their contented parents. Come! Find YOUR best beach on Virgin Gorda! If you work really hard at it, doing two a day, you can visit 14 beaches in a week! 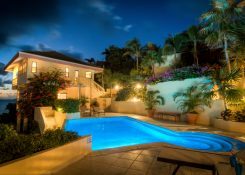 Please subscribe to my Insider’s Guide to Virgin Gorda so you can read my next posts with updates on what is happening on Virgin Gorda in 2015!